THE production of fake €20 and €50 bank notes continues to be investigated by the authorities and three women have been arrested in Oviedo. Investigations by the National Police revealed the fact that these three women had been producing and distributing these counterfeit notes for three years through shops and small businesses in the north of Spain. 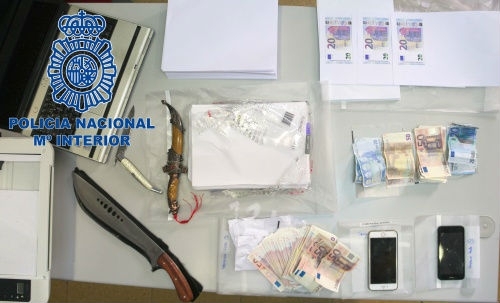 They were quite blatant about their activity, spending the notes on a daily basis and when officers raided the property where the fake notes were produced, they found €5,000 in printed fakes and sufficient paper to produce additional notes to a value of €10,000.